In whom or in what do you place your trust? Do you trust in the government to take care of you? I plead the 5th! Do you trust your spouse to be faithful to you? Only you know the answer to that one. Just those three questions probably have a few people squirming. There is very little we can count on in the long-term. While people and forces may possess a certain reliability, they are all subject to failure. Now for a hard question: Do you trust in God? (Think before you answer). If yes, how much? It is easy to say we trust in the Lord, but much harder to live it. The Bible is full of examples of people who demonstrated their trust by the choices they made. 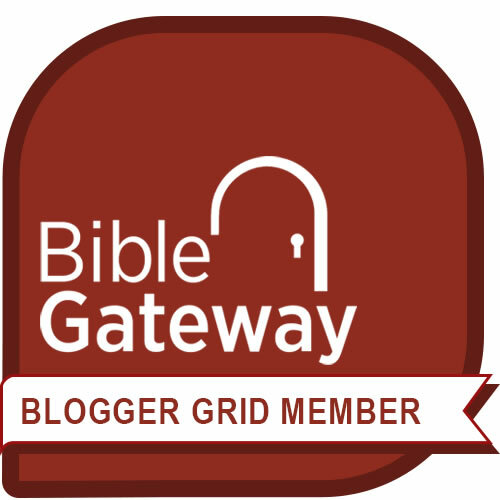 One such example is the account of Shadrach, Meshach and Abednego in Daniel 3. If you have never read Daniel, I would encourage you to at least read the first 6 chapters. It is chock-full of lessons in trusting in God. It will also introduce you to Shadrach, Meshach and Abednego, three men who demonstrated their trust in God. These 3 men, along with their friend Daniel and approximately 10,000 other Israelites were deported from Israel to Babylon. Shadrach, Meshach, Abednego and Daniel were trained in the language and literature of Babylon so they could work for the king. By the third chapter of the book, they had demonstrated a strong faith and well-placed trust in the Lord. In Daniel 3, Nebuchadnezzar builds a statue and he commands everyone to fall down and worship it… or else. The threat was very real. The circumstances demanded a choice. Either bow to this thing—even though you don’t believe in it—or stand tall and face the fire. ~ Daniel 3.8, 12-15 ESV, emphasis mine. Three men versus all of Babylon. Talk about peer pressure. They stood before Nebuchadnezzar, the great king of Babylon who possessed the authority to kill them. He made an offer of leniency: bow to my god this time and you won’t be burned alive. He challenged their faith: “If you do not worship [my idol], who is the god who will deliver you out of my hands?” Most people would be intimidated into obedience, their beliefs overpowered by the threat of humiliation and death. Such confidence. Can you believe they said that?! To the King?! Shadrach, Meshach and Abednego trusted in the God they could not see in the face of a fire they could see. They trusted God and no threat was going to sway them. It did not matter to them if they died that day. They counted the favor of God of greater worth than the favor of a mortal king. They feared the wrath of God more than the torture of a fiery furnace. Their decision to trust in the Lord showed Nebuchadnezzar that the one true God had real power. He was deeply impressed by their unshakable trust. In reading the first two chapters of Daniel, it is evident that this decision to trust God was not some random act of machismo. This was not their one shining moment of obedience. They had developed trust in the Lord long before this fiery test. Please read the first two chapters of Daniel because you will see for yourself that their trust didn’t start in the face of the fire. 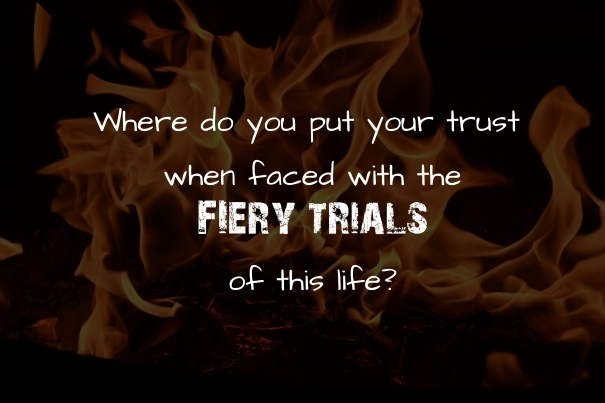 Like Shadrach, Meshach and Abednego, we should be cultivating our trust in the Lord long before we are faced with the choice to obey God or obey men. So, I’ll ask the question again: Do you trust in the Lord? How much? It starts with the little things. Are you willing to give money to the church knowing that there will be less money for your needs or wants? Are you willing to tell people you are a Christian, knowing that they will probably think less of you for it? Are you willing to tell your kids they can’t do a certain activity because it will interfere with worshipping God regularly? Are you willing to turn down a particular job because you know it could draw you away from the Lord? Where do you place your trust? God is faithful and therefore trustworthy. He isn’t shaky ground like retirement investments or the government. He is consistent in what He does. Look at the sunrise and sunset: every day the sun comes up and the sun goes down, even when it’s behind the clouds. It happens everyday without fail. God’s Word gives us multiple examples of His great care for those who seek and serve Him wholeheartedly. God gives us this evidence of His faithfulness and trustworthiness if we but take the time to commit these lessons to our hearts. …we all fail to trust at some time or other. For starters, we aren’t omniscient. Though we are reluctant to admit it, we often think we know what is best. (I am so guilty of this!) We don’t see the whole picture of our life like God does. Sometimes we see a “no” to our prayers as faithlessness on the part of God. Sometimes our lives are unraveling before our very eyes and we feel abandoned by God. There are times when we are faced with losing friends, jobs, positions, respect or more if we stand up for God. We think that God won’t rescue us from the fire. God never said He would spare us from the fire, but He has promised to be there when we walk through it. My very dear friends, you may be passing through the fire right now. There may be very difficult choices that imperil your standing with God or with men. God is there with you in the midst of your trial, just as He stood in the midst of the furnace with Shadrach, Meshach and Abednego. If we stand for God, He will be glorified through our decision. We have to continue making the decision to trust Him and to obey Him and not our own desires. Lord willing, the time will come when you will look back and you see that God was charting a very sound course for you. If you turn your back on God today, you will never see what amazing things He has planned for you tomorrow. Even if we don’t get that proverbial bed of roses in this life, something better is waiting for us in the next. Keep on enduring. Keep on trusting. Press on to know the Lord, my friends. You can trust Him. The timing is perfect. I was just finishing up a sermon on trust and I had left these men out. Shame on me:) thanks for the thoughts you provide. The Bible overflows with examples of trust. These three men are but one example among many–part of the great cloud of witnesses who want to see if we will trust in the Lord. I’m sure your sermon will be great. God be with you as you preach the Word.